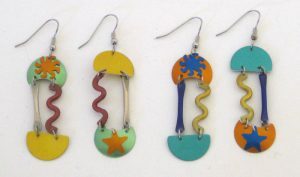 Asymmetric pair of earrings 1 ¾” long, shown in Sienna (left) and Bright. 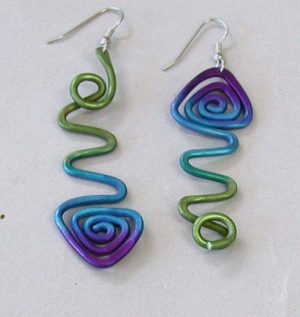 Fade-dyed wire earrings 2″ long, asymmetric, shown in Sylvi’s Colors (left) and Cool. 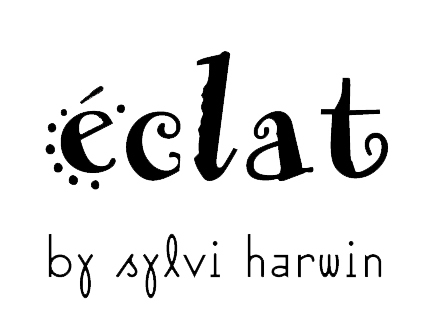 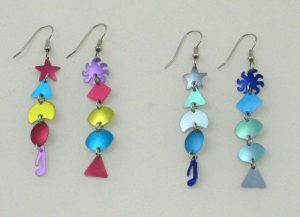 Earrings in 7 colors 4″ L (or request shorter version 3 1/4″L ) shown in New Cool. 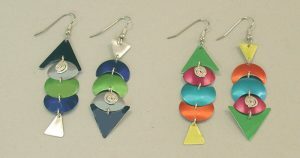 Asymmetric pair of earrings in 3 colors, 2” long, shown in Bright (left) and Ocean. 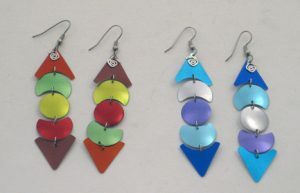 Asymmetric pair of earrings, 1 ¾” long on fusion welded posts (clips available), 2 colors. 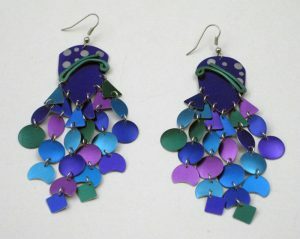 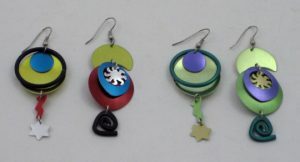 Asymmetric pair of earrings, 2 ¼” long with 5 colors and silver detail, shown in Manhattan (left) and Hawaii.